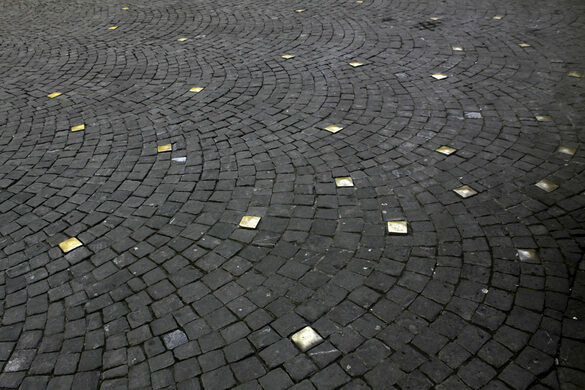 A constellation of golden cobblestones, each inscribed with a single name, glimmers within a city square. 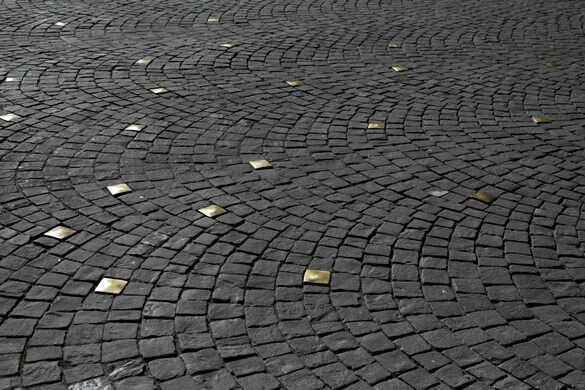 Arranged in an arching, half-moon shape, the underfoot artwork shines beneath the flurry of countless pedestrians. Les Naissances de la Pleine Lune (in English, The Births of the Full Moon) was installed in Lausanne, Switzerland in 1999. It may seem like the dazzling stones are a not-so-subtle reminder of the country’s famous wealth, but they’re actually a celebration of birth and life. 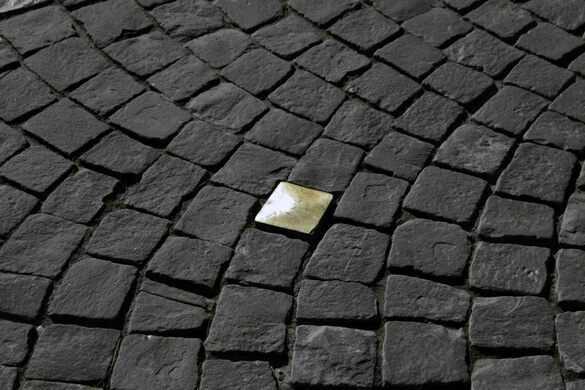 The golden stones each show the name of a child born within the city beneath a full moon during 1998. Artists Yves Zbinden and Anne-Hélène Darbellay arranged them around a fountain near Church of St. Francis. The 18th-century fountain bubbles with water which, like birth, is a life-giving force. Though easily overlooked or misunderstood, the sparkling spectacle is surely a beloved site for the lucky children whose names appear as part of the artwork.